Also known as "golden tips" or "silver tips," tea tips are the small, unopened leaves of the tea plant. Tea farmers in China realized that the tea tips were the sweetest part of the tea leaf—the tea plants store all of the nutrients over the winter, so in the spring, the nutrients are pushed out in the first tea tips. When a tea has many tips, it is called "tippy." Some teas are made entirely of tips. Although tea tips are also commonly known as "buds," they do not form flowers. They are sometimes also called "shoots," which is also misleading because they do not include much (if any) stems. Tips are really just young leaves. Many types of tea tips have fine hairs growing from them. Tea tips with these hairs are often called "downy buds" (with "downy" meaning "similar in texture to down feathers"). The tea plant grows these tiny hairs to protect the young, delicate tips from insects. As the leaves mature, they often lose their hairs. Tea tips are generally considered to be better quality than the larger, older leaves of the tea plant. They often have a higher concentration of flavor, vitamins, and minerals than the older leaves. Early-harvest spring teas are prized because they are made primarily from tea tips. This is part of what gives them their distinctive flavor. Tea tips cost more due to their heightened harvest cost—tea tips have to be harvested exclusively by hand. Most tippy teas come from India, Sri Lanka, Taiwan, and China. In these countries, the cost of hand plucking is affordable enough to be offset by the price that tippy tea can fetch. There are many tippy teas produced around the world. Some of the more popular ones include TGFOP (Tippy Golden Flowery Orange Pekoe), the tippiest grade of tea in India and the main orthodox tea from Assam and Darjeeling, and TGFOP1, which is a higher grade based on overall quality. FTGFOP (Finest Tippy Golden Flowery Orange Pekoe), is a very high-grade of tippy tea from Assam and Darjeeling, often processed by hand and made of about 1/4 tips. STGFOP1 (Special Tippy Golden Flowery Orange Pekoe) is the highest grade of tea available from India, often with 1/4 tips or more; Golden Monkey, a tippy red tea from Fujian and Yunnan, China, is made from only the tip and first full leaf in a 1:1 proportion. You should also look for Dianhong/Golden Needle/Yunnan Gold, a tippy red tea from Yunnan, China. 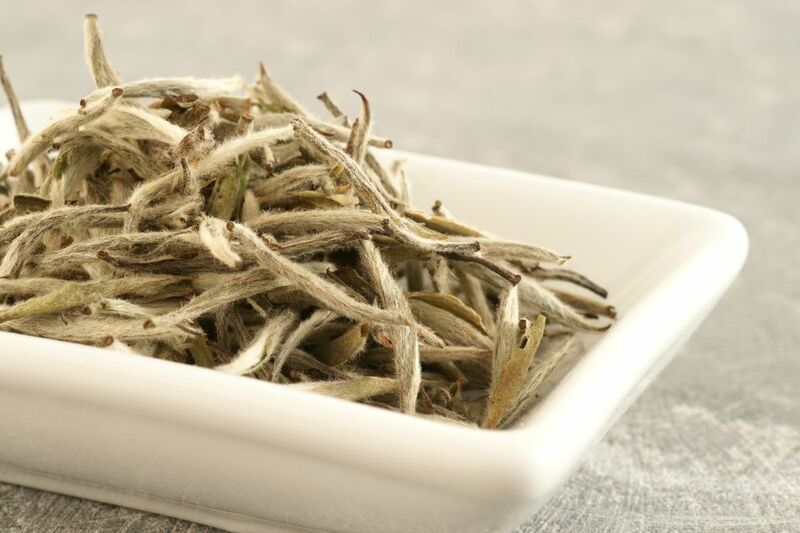 Silver Needle/Bai Hao Yinzhen is a tippy white tea from Fujian, China, that is usually made entirely from the buds of the tea plant. You may be more familiar with Darjeeling White Tea, often made from tips only. White Peony/Bai Mu Dan is a mix of large leaves and buds from Fujian, China, and Oriental Beauty/Bai Hao Oolong is a tippy oolong from China and Taiwan. And an early-spring harvest tippy green tea from Jiangsu, China, is Bilouchun.